I found several photographs plus by memories of San Diego beaches and endless white sand. I painted this through the winter of 2007 – 2008. Painting a warm summer scene while looking out through basement windows at eye-level snow and dead leaves worked for me. This was the first sunset. 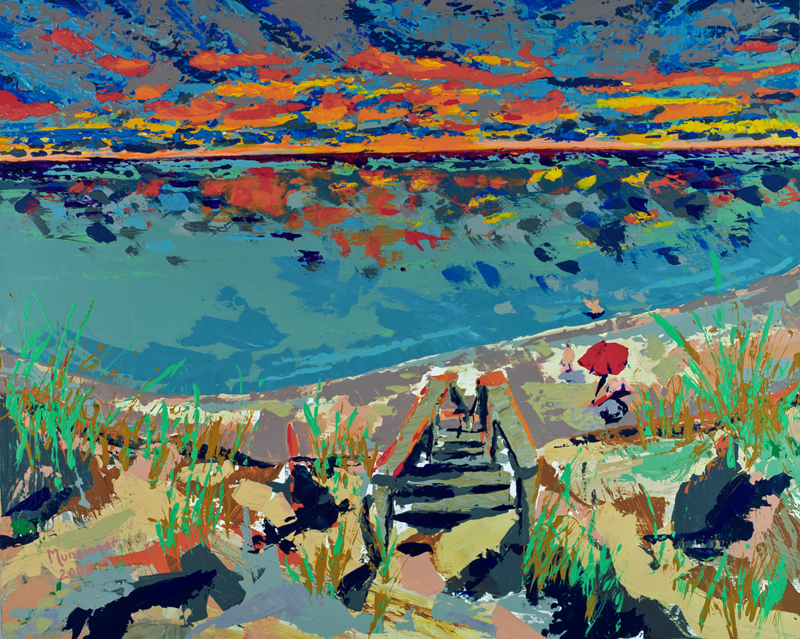 I painted another 23 or so sunsets, following that same dichotomy, painting California light in a very different New England. I think that separation, that birth of awareness of light and color born in California, seasoned over 34 years and then cast in memory and flowed onto canvas.